We’re down to the last month of 2018, and while not all of us have felt the supposed season’s colder days—probably due to climate change—cuddle weather is around the corner, we all know it’s coming. So we’re here for a few pieces of clothing we suggest you stock up on to make you look nice and even nicer to touch. Sweater weather isn’t limited to just actual sweaters, and truth be told, our wardrobes can use a bit of an overhaul with all the hoodies, parkas, and coats in there. Kimonos provide a relaxed and laid back form of cold weather clothing and make layering so much more interesting—they feel like something in between a cardigan and a vest, only with all the Japanese flash (and weeb cred). Black seems to be the common choice for these so you might want to change it up if you wanna stand out. Utilitarian is something of a buzzword right now, see Off-White and other “overbranded” executions, or OG labels of the aesthetic like Acronym and such. We could say it's an offshoot of athleisure in a way that we all claim to dress in sweats as “form over function." As over-branding and utilitarian design (chestbags!) continue to take up more and more space in the fashion consciousness, it all gets a little cyberpunk when you get to the dedicated labels like new local boys Aogiri, but that’s the point for many. Techwear may not be the most festive direction to take for the holidays, but it more than makes up for the perfect get up to look stylish, trendy, and legitimately warm. Socks have been plain for far too long that going for simple patterns and prints no longer counts as edgy and playful today. It's a socks arms race now. 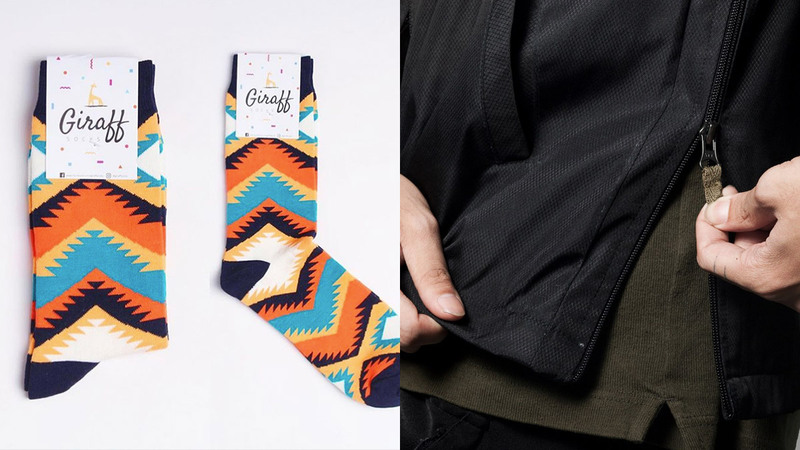 If you're on the lookout for a new supplier that your bros may not have discovered (and to avoid accidental matchy days) check out these cool pieces from Giraff. You might want a different source, to set yourself aside from all the...iconic socks—a little less mainstream, if you will. What better way to warm up than with some fire cops, right? But really, Season Pass is more than just a store for buying, selling, and trading local and international items. It’s a community. 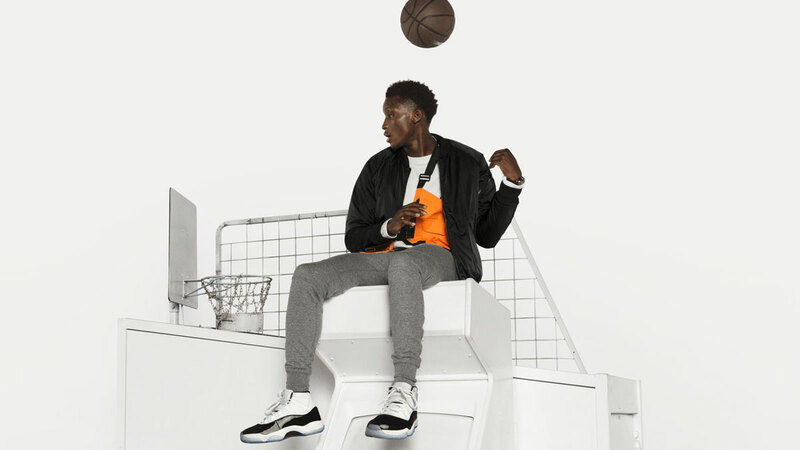 We’d say Season Pass are some of the less gatekeeper-y places when it comes to streetwear—the guys over there are some of the most welcoming and candid people you’ll ever meet. One visit and you’re bound to make a friend or two. And those thick Supreme hoodies and warm Tommy Hilfiger’s aren’t gonna find themselves at a more perfect weather to wear than during the cold months.